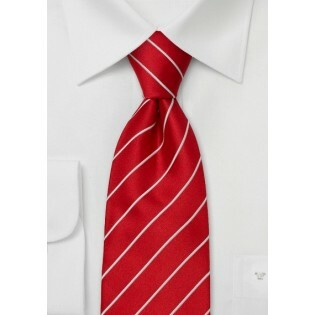 This tie is a classic and deserves to be a part of every man’s wardrobe. Classics never die, they’re reinvented. 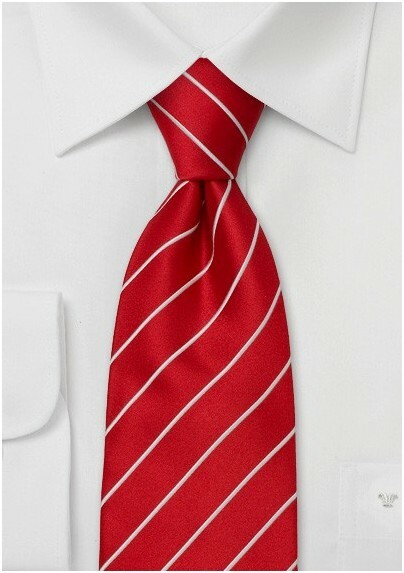 This is the best seller of our striped neckties, so a lot of people agree. Classic reds like this bright red spell power, and the thin, white stripe detail bring new life to your traditional business look. For the adventurous, try patterned shirts with stripes or checks. Go with a thicker style of stripe for your choice of shirt, or a solid color with contrasting appeal like medium to light green.